The Premier Golf Holidays team has been selling golf holidays for over 27 years now, initially to Spain and Portugal and now to many other golfing destinations. We pride ourselves in providing the best service to golfers and spend time familiarising ourselves with the golfing destinations we offer. 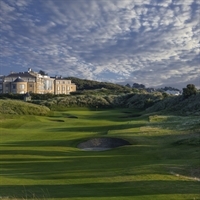 Many of us are golfers and it is great to get the chance to play some of the best courses in Europe! We have experience in providing golfing holidays for groups of any size from solo golfers up to large society groups and our established name within the industry has ensured that we can negotiate some of the best deals available. Call 01604 765131 to speak to one of our friendly, helpful and knowledgeable team. Our aim is to be the first choice golf and leisure holiday company for independent minded travellers, and we continue to grow steadily by listening and responding to our customers' individual needs, tailoring holidays to meet exact requirements, providing great value and giving unrivalled service, knowledge and flexibility. Premier Golf Holidays offers a great choice of destinations including most of coastal Spain, the Algarve, Lisbon, Madeira, the Canary Islands, Mallorca, Italy, Cyprus, Turkey, Bulgaria, Mauritius, Caribbean and South Africa! We provide the choice of over 100 accommodation venues ranging from self-catering apartments and villas to 4 and 5 star hotels with prices to suit all budgets and all carefully vetted by ourselves. 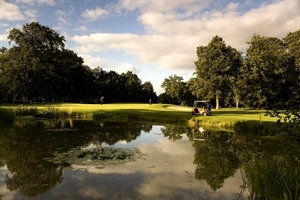 We have visited nearly all the courses and played many of them, so our experienced, friendly and knowledgeable team will be able to offer advice on any of the destinations our customers are interested in. All holiday payments made Premier Golf Holidays Ltd.are fully protected in compliance with The Package Travel, Package Holidays and Package Tours Regulations 1992. 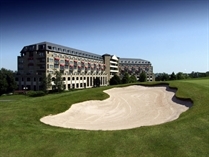 Premier Golf Holidays are members of the Travel Trust Association (TTA No. U8048). All monies received by a Travel Trust Association member is deposited into a Trust Account, a bank account designated to hold the customers' money in 'Trust' until their holiday is completed. An independent Trustee, a certified accountant or solicitor, is appointed and must counter-sign / authorise any payments from the Trust Account to the Travel Trust Association Member. You also have a financial guarantee from the Travel Trust Association. For further details please see their website http://www.traveltrust.co.uk/guarantee Please ask us to confirm what protection may apply to your booking. Our holidays are tailor-made to suit the requirements of each group. So, we can book flights separately for you at very competitive prices or, if you prefer, you can arrange the flights yourself. You can book a holiday with us for any duration* with or without a car and play golf or not. The choice is yours! *Minimum of 3 nights at most destinations.